First up we have this bright beauty from Christine using our Sparkle and Shine set! Don't those diamonds look like they are glowing? My goodness! She used Scrapbook Adhesives Foam Dots for some dimension, as well as the EZ Runner to adhere all the elements. And we have this freaking amazing card by Yana :) She used our On the Corner stamps and new die! Thanks for more inspiration today! WOW! Awesome cards! Love them! Fabulous cards! I love seeing all the ways adhesive can be used- so creative! Swooning over both these cards, which are guaranteed to bring mega-watt smiles to whoever receives them! 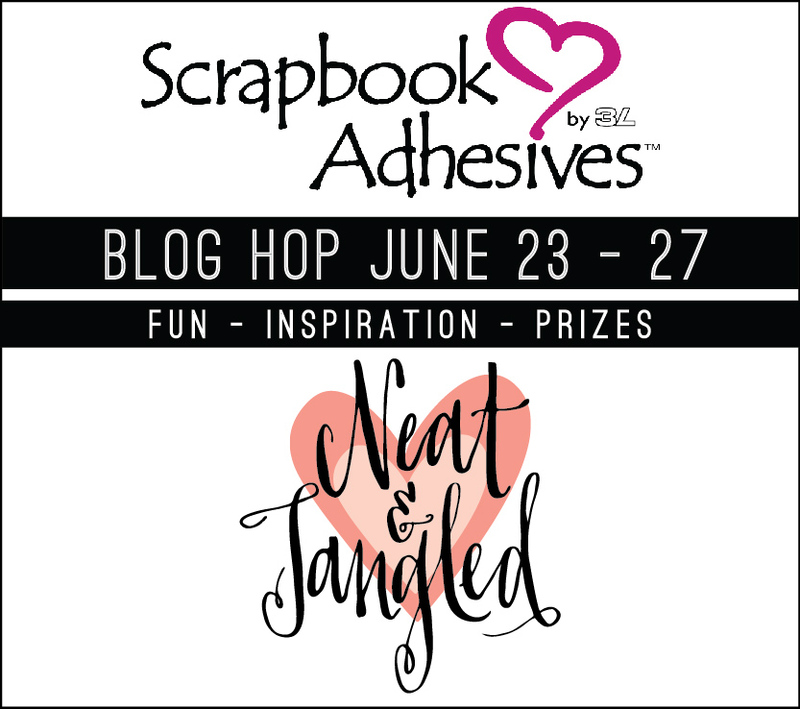 Once again, the combination of N&T and Scrapbook adhesives is outstanding! That diamond! I love it! Actually I love both cards! So awesome! Very cute cards today! I especially love the card using the Sparkle & Shine set! Diamonds are a girls best friend - and these look as nice. I love the street sign. I have the stamp set but need the dies. Great cards. thanks for having the hop. I love both cards - they are fabulous. Yana did a fabulous job with the design and layout of her card - very creative!! Love the gem card - it's brilliant! Oohhhhh love the blue on kraft paper! Great cards! Love the shiny, sparkly, diamond one! Love both cards so different but both fab! I need that die!!!!! So cute!!! More awesomeness from your DT! Great cards - love the diamonds! Great cards by Christine and Yana today! 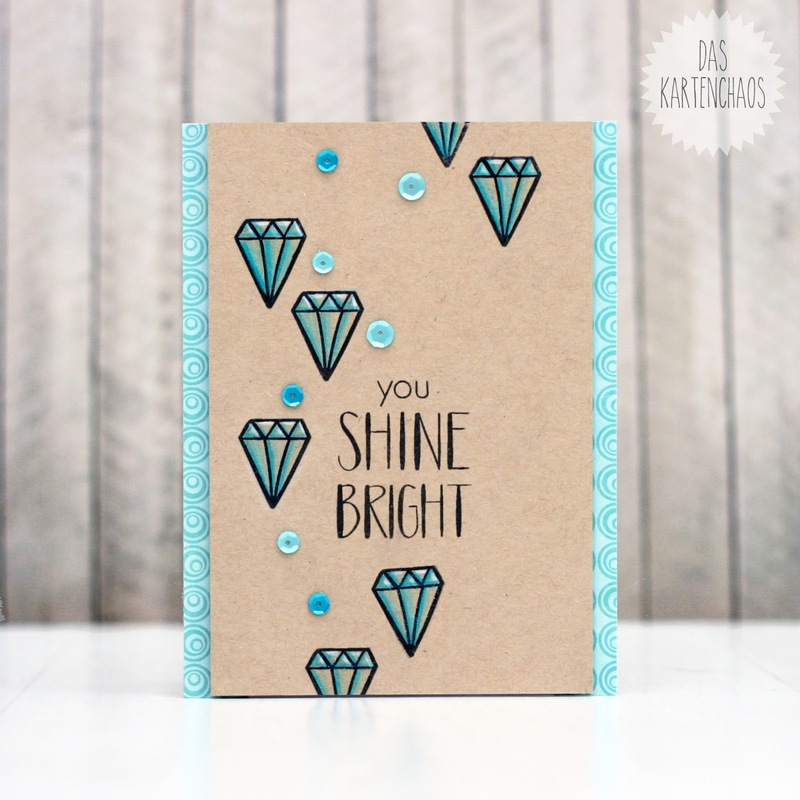 I love the colors on the Sparkle and Shine card with that kraft paper! And I'm excited that On the Corner has a coordinating die! Holy guacamole! Christine, your coloring and shading are so perfect! I love the simple elegance of your card. Yana, I often forget about stamping and coloring on patterned paper....you perfected the technique with your card; I also love the fun use of the sentiment square and polaroid background and the striped strip. SOOOOOO inspiring. Wunderscheon wie immer! Das habe ich sehr gern, Christine! Wow! Amazing cards! I really need to get On the Corner! Wonderful cards...love the designs and colour combos.